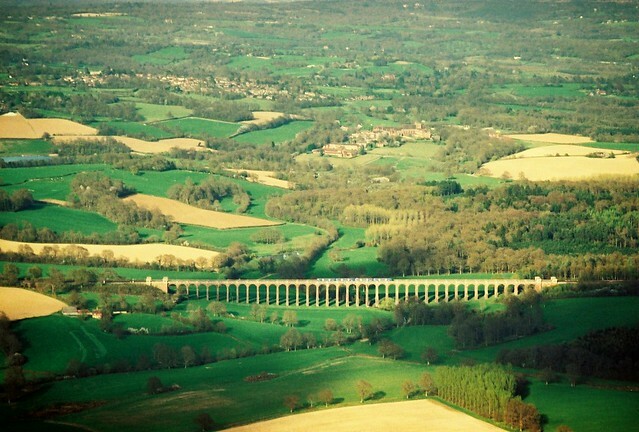 Balcombe Viaduct, and the village. I arrive at the Balcombe Protection Camp at about 7.30pm on Thursday 15th August 2013. I am greeted immediately with long and warm hugs from a small group of people, and urged to eat in the Indian way (I was already full from my dinner that I’d eaten a few hours earlier). Beau, what a fantastic and sacred heart and spirit, he walked with me to the other new camp, a mile up the road. We walk and talk with fantastical adventure glowing our deeper embers. The Reclaim The Power camp was a baby, and growing quickly. Structures were being hammered down, metal to metal giving an almost Soviet-like feel. Somehow I managed to walk around for a while without anyone attempting even to welcome me. I’d traversed hundreds of miles across the country for this, images of Thomas Paine’s revolutionary walks across USA and France criss-crossing my mind and spirit. This is it, I had been telling myself…If Not Now, When? I couldn’t see, here, any sign of what I’d seen I was travelling towards in my meditations. I was knackered. It had been a hard journey, with an absorbing but sleep-depriving stopover in Bath. I went to pitch the tents (a solo for myself, and a 3-person for whoever needed it), but the impenetrable hardness of the ground took the remains of my energy. It was impossible. How can revolution be attained when we’re still struggling to work out how to break through new ground? I then slept the longest night I would have for the next five days. I woke feeling rebellious, to the point of being quite repulsed by my entire surroundings. How had I ended up being at another bloody festival when it was advertised as if it were the pinnacle of British climate activism? There was no wonder why I had pitched myself right at the top of the hill, away from everyone else. This wasn’t where I was supposed to be at. I went to a midday meeting for ‘the village’, and felt almost worse and more rebellious. This was being too meticulously organised. It seemed like most of the talk in the meeting was a drivel that I couldn’t imagine feeling so relevant for anyone more than an elitist group of bureaucrats in the meeting. Where was the revolution? Where was the site of the world being raped right in front of us by the super-greedy, who were busying themselves with impregnating the earth with their bloody curses? We were looking at building a tented village, and it felt too little, too late, and with no urgency whatsoever. I was confused and distanced. I got assigned to some structure-building job, and wallowed in it. The weather was dreary, and I felt like I had come to a small middle-class gathering of people who just talked without any real really alternative ways of thinking. What was more:- there were definite masters in this camp…the hierarchy was plainly obvious and it would clearly stop me from getting a true say in anything meaningful. Lunchtime came, and I saw a notice stating the ludicrous figure for suggested donations for food. I had previously read here: http://www.nodashforgas.org.uk/campinfo/ that I would not need to bring food, and they said nothing about needing to bring money. I felt like I was stealing, as I had no realistic way of paying £5 per day for food. I felt bad of myself. The day progressed, and my feelings towards everything lightened massively. Building the structures became a great way of meeting people who would come to be extremely central to my experience over the next few days. Myself and Phill were sure we’d met previously. There was a huge connection, and neither of us would understand it till some days later. We, along with Tom and his partner (whose name escapes me) put up the kids’ tent, a medium-sized geodesic dome. I met Jass and Roxanne after the evening meeting. In that meeting, a call went out from a spokesperson from the other camp for people to join the woodland squat. I knew exactly where I needed to be. I left at midnight on Friday 16th August by foot and with no torch for the woodland squat just north of the main camp at Balcombe Community Protection Camp. I walked down Cherry Lane, surreal and dark and forbidding. My feet were all that I had to guide me. Bare and giddy, the feet felt every bit of contour and stone and stick and told me exactly which way was forwards. There were very few houses along this path, and only two cars went down it for the half an hour that I strolled. Fields lined beyond the banks of the road – giving thoughts in my mind that I could just camp here for the night and pace on the following morn. But no! Alas! I arrive at the main camp with my backpack of essentials and my small African goat-skin drum, ready for all that is to come, and ready to give it all to the new story that we need. A guy from camp led me up to the squatted area. This area’s prominence became known to me over the following days. If this area, which was technically mostly a public footpath, had not been squatted, the authorities or council could have shut it off from the public for upto a duration of 28 days, and thus would have stopped the public from seeing exactly what Cuadrilla was getting upto. Symbolic to the area was a large Christmas Tree field that gave perfect view of the drilling rig and the whole complex. At night, lit up by floodlights, it was serene. The Christmas Tree field became central to everything for me. I hated this field to begin with, but the energies rose and rose and rose over the days and became the hub of the spiritual revolution that ended up carrying us all away to supreme places. It was a spiritual battleground that would put Krishna and Arjuna in their places. This was a strategically hugely important geographical point during these days as it not only allowed the worldwide media to photograph or film with a view of the entire drilling rig, but also it enabled large amounts of activists to repeatedly outflank the police by providing a footpath that came out always behind the police line. This was where it was at. The drilling rig even looked faintly beautiful lit up in these floodlights. It became an emanation of the Lord Shiva; the God of Destruction. There was so much beauty and symbolism in singing from the roots of my longs ‘OM NAHAM SHIVAYA’, over and over, for hours and hours. I woke early to the Gurkhas (the E4S-employed Nepalese ex-military men who were the most loving security I have ever met) sounding like they were having a grand celebration. I thought that the whole thing had been brought down, that a great light had risen from the ashes, and that we were to share many blessings from witnessing this all. They were shouting to each other and laughing, in a Latino-sounding way. Dawn had barely broke, but I needed to be up in case of there being a lorry delivery. I respected my wake-up call. I’d told Will, the brother of a close friend of mine, and his friend Alex that I would be up fro them interviewing me that morning. They were recording independently, claiming to want to gather stories to depict a truer picture of what the camp was all about. I had the best porridge of my life, and then found Will and Alex’s attempts at interviewing me to be not quite right at that time. It is all about finding the right place and the right time when in the business. We therefore agreed that later we’d sort something, and for now we’d just see what came up. I gave them details about a march that was due to happen from the Balcombe Viaduct to this camp at midday, and I agreed (but later broke) that I’d take them there. We walked around seemingly aimlessly, but found things that intrigued us. I met Nick on one such occasion, who was very interested in learning off a man named Nick Clare who was extremely proficient in the sort of law that will make revolutions happen all across the world [see his video ‘A Day In The Life of a Lumber-Jack’ here: http://youtu.be/p_8uNMziPPs]. The first Nick would later become a profound spiritual connection for me: I found him to be the one and only person around who understands exactly the road of spirituality that I trod. Called it blessings or call it reason, what has happened with Nick has been a miracle for this whole existence.